Midmark Corporation announces the release of SmartSim, its dental simulation bench designed exclusively for dental schools and universities. SmartSim features a distinctive triangular shape and modular structure, providing the flexibility needed to maximize any classroom space. Incorporating digital presentation, space-savings, and functionality into each unit, SmartSim can be used as a simulation bench, multimedia station, and student workspace, ideal for use with one person or a small group. SmartSim is available in standard and base model configurations. 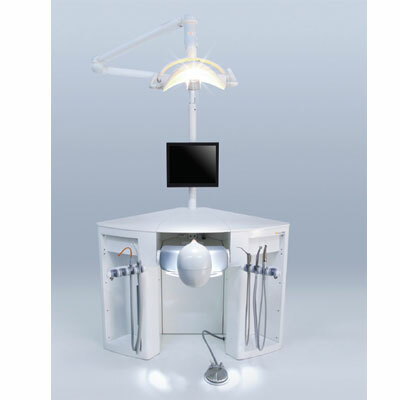 The standard configuration is equipped with both dentist's and assistant's instrumentation.